Why does she stay on the bed? God, I’d have jumped out long ago! God, that mother ghost is scary! Presented by Guillermo del Toro, creator of Pan’s Labyrinth. You can feel Guillermo del toro’s influence! Well, I wait with impatience for this creepy movie! Besides Jessica Chastain the cast also includes Nikolaj Coster-Waldau, Megan Charpentier, and Isabelle Nellsse. 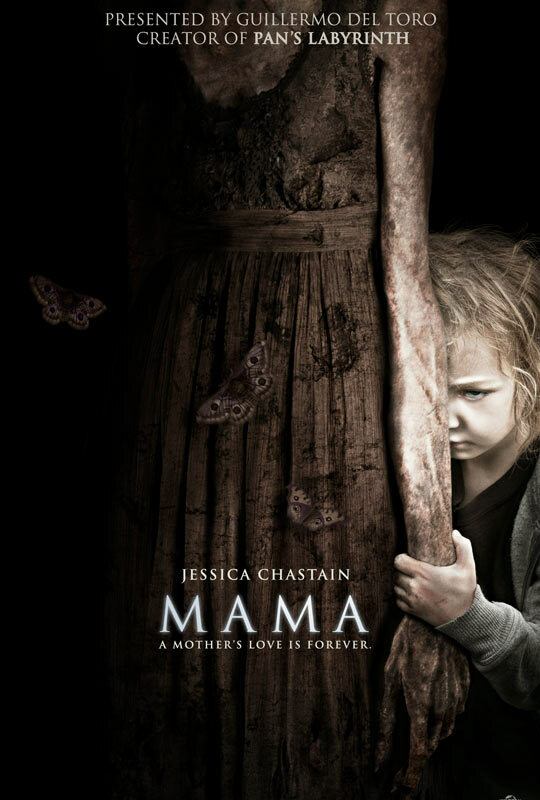 The release date of Mama is set for January 18, 2013.